Analogue Art in a Digital World, (07 Dec 2018 – 19 Jan 2019) presents the works of 20 contemporary artists investigating the relationship that technology has in the artist’s observation of life. The exhibition curated by Sam Leach and Tony Iloyd, explores the roles of art in our digital environment, and reveals how artists are finding new content in digital media. Passing through the automatic doors of the RMIT Gallery we are projected in a space that at first glance seems to show analogue practices of painting and drawing. However, when we focus on the artworks we realise and understand the influences of digital visual culture. 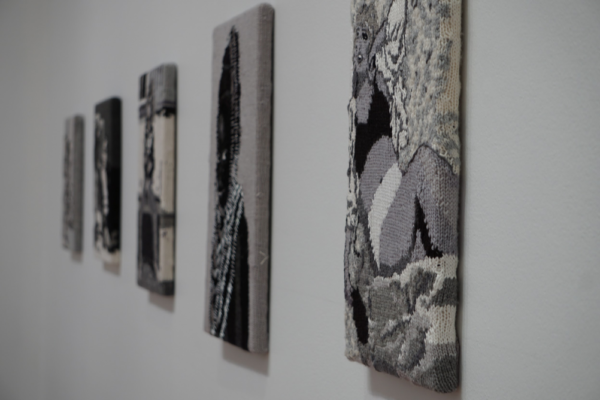 Image: Kate Just, Feminist Fan, 2015, hand knitted wool and acrylic yarns, 46cm x 30cm (detail). Language shapes the way we think and the dominant visual medium influences the way we see the world. The tools artist used have changed over time and are now faster. What is the most common tool if not the smart phone? The sketch book has been replaced by a desktop folder. 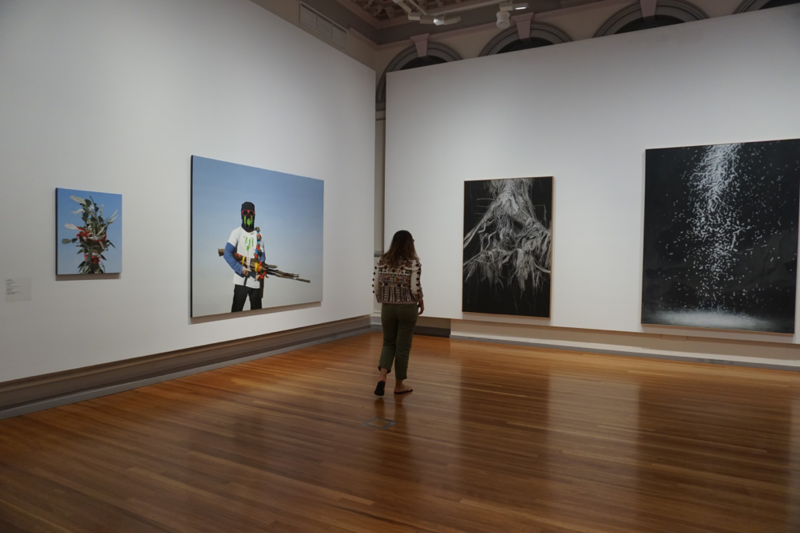 Each of the artists’ works in the exhibition communicate with the space and develop a relationship with the observer. 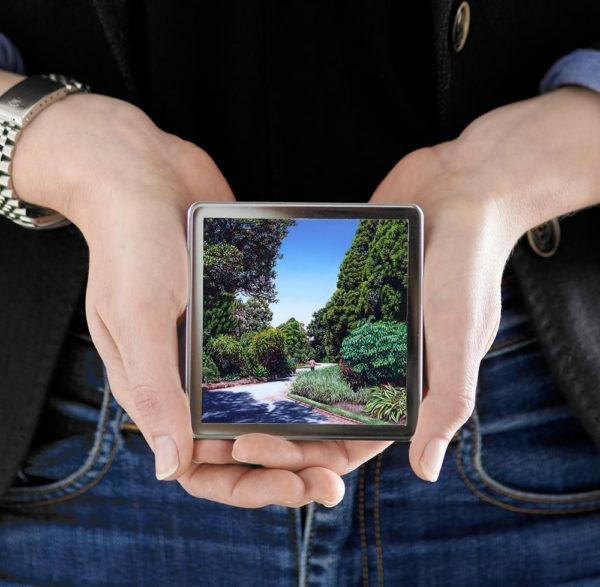 Natasha Bieniek uses her device to capture a digital image, and through the artist’s eyes and hands she creates miniature oil paintings on a silver mirror surface. Getting closer to Natasha Bieniek work. 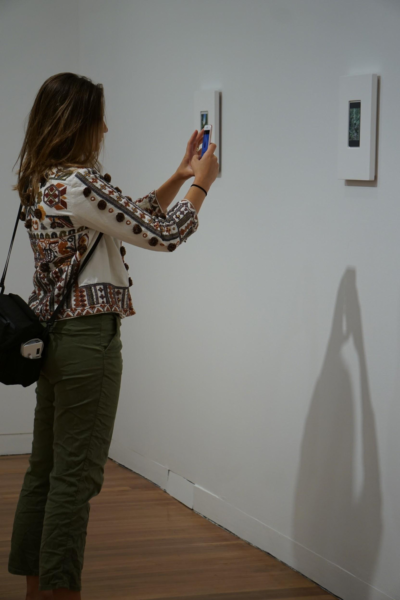 Michelle Hamer’s works express how technology has altered the nature of analogue art practices. 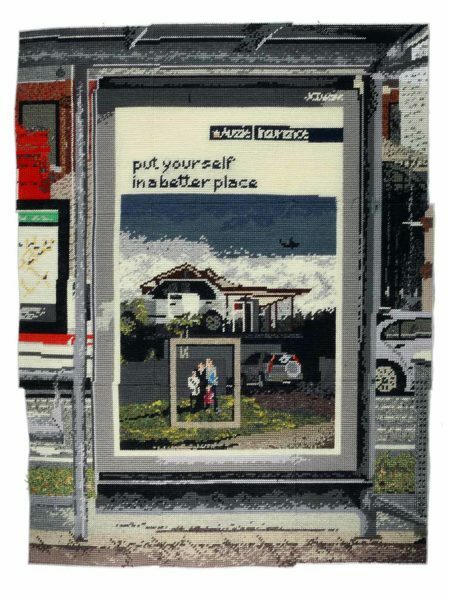 Her Hand-stitched and drawn works occupy a space between 2D and 3d and are based on both ‘found’ text and photographs – created for the most part by eye. They express how technology has altered the nature of analogue art practices, and capture in between moments that characterise everyday life.